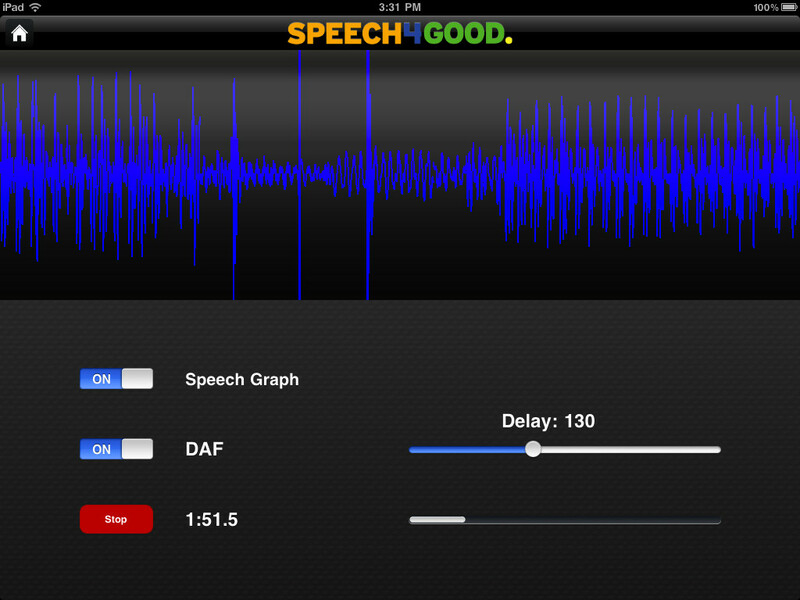 The folks at Balbus Speech in my hometown of Boston have designed an innovative app to visualize speech. Because I have few opportunities to work with fluency clients, Jessica Chase from the wonderful Consonantly Speaking offered to cross-post here as part of Appy-Picking Month. Thanks so much, Jessica!! Please check out her great site. Thank you also to Balbus, who offered a few promotional codes to our readers. If you are interested in entering the giveaway, click on over to the post on Jessica's site. Back in June when I started my ABCs 4 SLPs series, I reviewed the Speech4Good application by Balbus Speech. Since then, they have updated their application and included a Lite version for users to try. In addition, I have been attending a workshop focusing on fluency assessment and therapy in which the application was recommended as one way to visually/auditorily practice fluency techniques. Speech4Good is a clean, easy to navigate and use, application that primarily focuses on fluency disorders. The four different menus that one can access on the full version of the application include SpeechCenter, Library, Sharing, and Account. I like using the oscilloscope with my students for them to monitor their speech. I also like the ability to record sessions and take notes within the application. One thing that myself as well as many others have noted in previous reviews that we would like to see taken away but is still on the application is the ability to post to Twitter and Facebook. I understand that a user makes the choice to do so, but I do not see why anyone would ever want to share a confidential file with a social media site. E-mail is fine, but it makes me nervous with HIPAA that I might accidentally press the wrong button and load a confidential file to Facebook or Twitter. Since I last wrote about the application, Balbus Speech has released a Lite version available for $4.99. This Lite version includes the oscilloscope (speech graph) and adjustable DAF. It does not allow the user to record speech, take notes, or save sessions. If you like the Lite version, you have the ability to upgrade to the full version within the application. From working with a couple of voice and fluency students for the past couple months since school has started as well as attending a fluency workshop, I have learned more about fluency assessment and strategies. 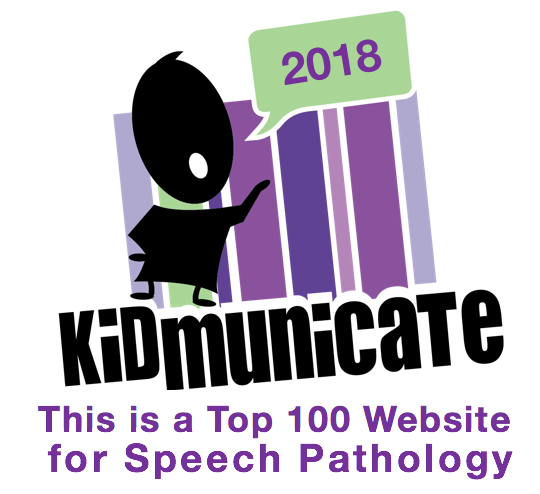 Since I am writing a second review of this application due to the fact that the other day was Stuttering Awareness Day, I would like to discuss how the Speech4Good application can be used for assessment and remediation of fluency disorders. Turn off the "Speech Graph" and the "DAF" to solely record a persons' speech while in conversation, repeating phrases, and reading. Take notes following the session about secondary characteristics and types of dysfluencies and save the file to the application. Replay the recording(s) as many times as needed to count the number of syllables stuttered and the total number of syllables to get a percentage of syllables stuttered. Replay the recording(s) to determine the longest dysfluency, types of dysfluencies, and number of each type of dysfluency. Use the information found in your speech report. Use easy onset and have the client watch the "Speech Graph" to see what a strategy such as easy onset looks like on the graph to help him or her visually monitor his or her speech. Record a clients' speech and save it to the application. Play back the recording for the client to self-assess how many times and types of dysfluencies he or she had. Plug headphones with a microphone into the iPhone to use the Delayed Auditory Feedback (DAF) function. Determine the length of delay to use with the client. Have the client practice his or her fluency modification or fluency strategies at home and e-mail you the files of his or her recordings to keep a record. He or she can also type notes as to environmental/emotional information that might be associated with the severity of stuttering on a given day. He or she can also rate himself or herself and the therapist can keep track of his or her ratings. 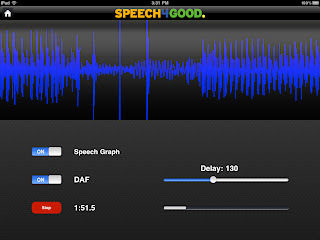 Speech4Good is available for the iPod Touch, iPhone, and iPad for $19.99. Speech4Good Lite is available for the same devices for $4.99.